As a kid, I assumed everyone around me was Mexican. I lived less than a mile from the Texas-Mexico border, so we pretty much were Mexican. This neighborhood inspired my first novel, The Smell of Old Lady Perfume–a world vastly different from the one that surrounds my protagonist, Masi Burciaga, in my new novel Pig Park. Masi’s cast of neighbors runs the gamut from the Nowaks to the Wongs. 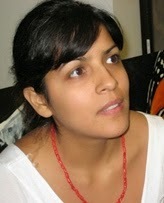 Nevertheless, Mexican identity is something I thought very much about as I wrote. Two-thirds of the Latino population in the U.S. was of Mexican descent in the last Census, and I can’t help asking myself what it means to be Mexican these days. I didn’t grow up purposefully Mexi-centric. I was a product of my environment. I’d never had the opportunity to truly interact with non-Mexicans, non-Mexican Latinos, or Mexicans with experiences significantly different from mine until I moved to California for college. Even then, the diversity I experienced was a somewhat artificial one created by a college admissions team. California was still the Southwest, and my new community and I still shared many experiences. But seriously, since I barely knew how to drive, I can hardly say I experienced L.A.
Chicago would be different. One day, I cashed in my airline miles and set off to visit a friend there. I walked into a coffee shop and stumbled onto a flier for an apartment rental. So began my long-term relationship with the city and neighborhood that would inspire Pig Park. My new Chicago landlady occasionally referred to my neighborhood as Mexican, but my neighbors included Mexicans, African Americans, Filipinos, Puerto Ricans, and miscellaneous white folks. Everyone just mixed it up. Mexicans have formed communities in Chicago since the 1850’s. And, while a 2012 Census study from the Manhattan Institute for Policy Research named Chicago the most segregated city in America, Chicagoland’s Mexican population is massive enough at 1.4 million that some neighborhood overflow is to be expected. This is how diversity develops naturally. Scholar José Vasconcelos talked about Mexicans as “the cosmic race;” behind it was the idea that we actually have a little bit of everything in us, that we like to mix it up, eventually transcending racial and ethnic categories. Life happened, as it is wont to do. I eventually got married, moved into a house in a new neighborhood, and became a mom. My husband is of the sort who wouldn’t be caught dead putting ketchup on a hot dog and gladly plays tour guide to visiting family and friends, introducing them to the many surprises of our city. He is a Chicagoan through and through. He is also of Guatemalan and Salvadoran descent. As such, I don’t know if my two-year daughter and my son (who will be born this October) will consider themselves Mexican or not. After all, identity is a fluid thing, partially assumed and partially assigned. My husband and I hope they consider themselves whatever they want, and are never made to feel that they can’t. I wrote Pig Park recognizing that the world my children will be a part of isn’t exactly one thing, and that this is the type of world many kids are increasingly growing up in. 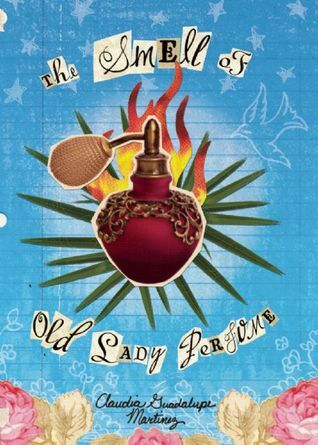 Claudia Guadalupe Martinez is the author of The Smell of Old Lady Perfume (Cinco Puntos, 2008) and Pig Park (Cinco Puntos, 2014). She grew up in sunny El Paso, Texas, where she learned that letters form words from reading the subtitles of old westerns with her father. She now lives and writes in Chicago. One of the nicest things following this blog is learning new stuff. I had no idea that Chicago has such a big population with Mexican heritage. But you live there and Cindy was born there. I’ve read the short summary of PIG PARK and really like the concept of the community building a pyramid, and curious to find out what happened at the end. Best wishes, Claudia, with your new books. 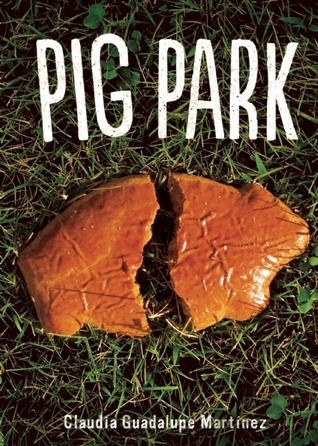 Funny, I read about PIG PARK in two places in one day–a title I’m eager to check out. I always like to see what’s coming out from Cinco Puntos. El Paso is home to much of our family. I got my copy of Pig Park in the mail today. Can’t wait to read it!